Observation notes: after the sighting I am personally certain the ID is correct but im afraid it was a very fidgety moth and I only got one shot and its terrible. You can see the long, fuzzy antennae and yellow collar that should make this a good enough pic for the ID. I hope you agree. 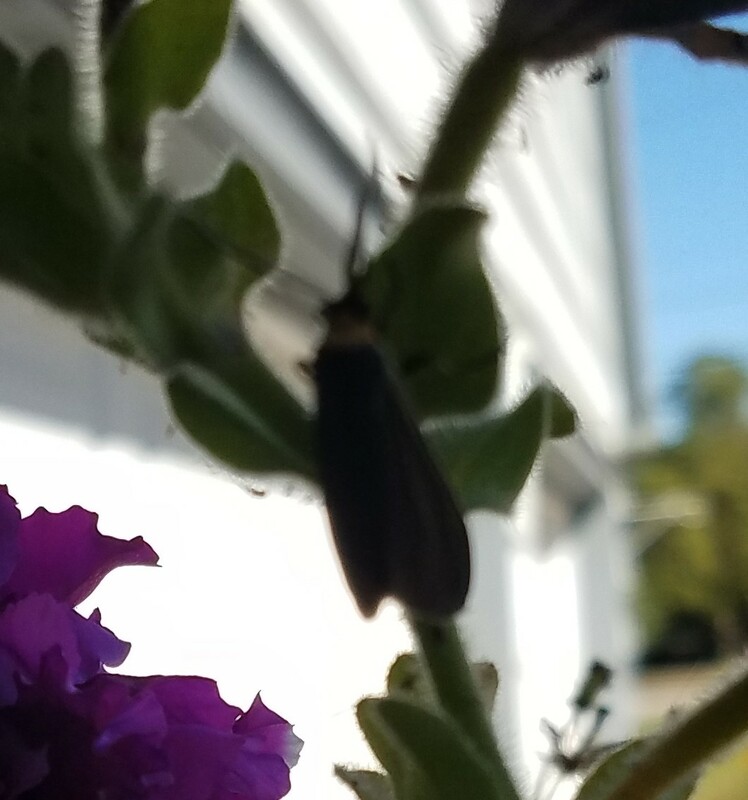 Moth was seen flitting from plant to plant, not nectaring and at first I really didnt know it was a moth.